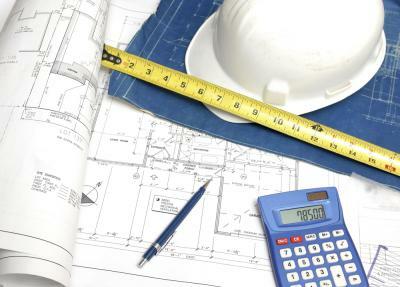 Our process starts with an initial meeting with the customer be it a home owner, architect, designer, or builder. During the meeting we discuss the scope of the project and determine what is needed to start and finish the project. If the project requires city approved plans, we have several design partners that we can recommend that will fit your project. After plans are approved by the city, we do a framing take-off from the plans using the construction details and structural calculations to determine the material that is needed to build the project. That list is then given to multiple lumber yards and truss companies to ensure that we get the best price for your project. After concrete is poured, we layout the walls on the concrete to ensuring that everything is square and true. Crandall Custom Homes manages the ordering and delivery of material to the job site and provides all of the equipment needed to frame the project. 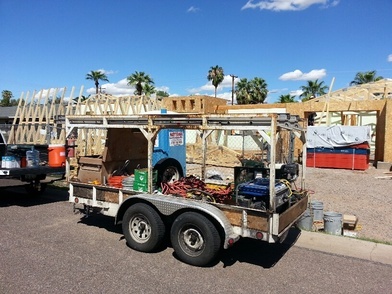 We have framing trailers that are equipped with ladders, saw horses, generators, compressors, nail guns, drills, and all hand tools required to do any framing job. After the slab is laid out, we schedule a meeting with the truss company to field measure for trusses to ensure that the correct lengths are ordered. After trusses are built and delivered, we coordinate any needed equipment such as cranes for lifting large beams, poles, and trusses. 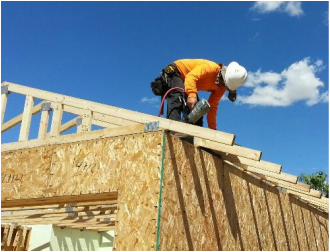 After the trusses are installed, roof sheathing is installed and the roof gets loaded with tiles. After the trades are done with electrical, mechanical, and plumbing and the house is lathed, we come back and check each stud in the house to make sure they are level and flat. Studs are shimmed, cut, planned and some are replaced if needed. 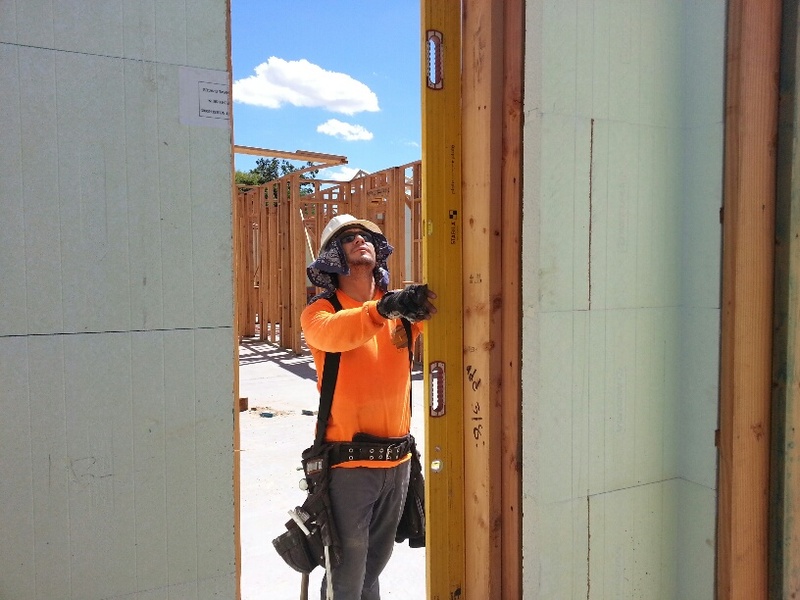 This process is called straightening studs and is completed prior to installing drywall to ensure that your project has the straightest walls possible to ensure that the drywall turns out well. 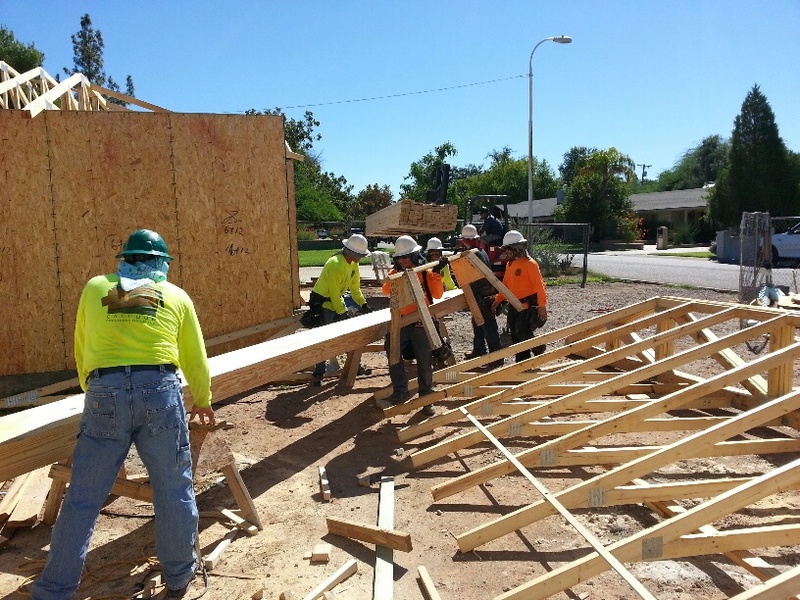 Framing debris is picked up and disposed of at the end of each day in a jobsite dumpster. Working together to move a beam. 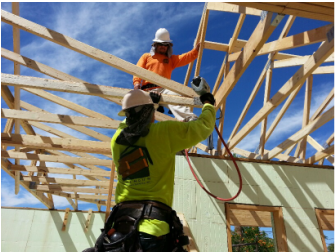 Securing trusses to top plate.